Three new cheeses have landed on our cheese room shelves, and they share a character and style, but with cow, goat and ewe milk to showcase their particular qualities. Five years ago when a young Cheesemaker would ask me what they should try to create, I said Britain needs more interesting goat cheeses. It’s great to have contact with a producer to discuss the way forward for a new enterprise and goat cheese is quick to transform from milk to cheese and therefore something that produces an income from the start. When I have been asked recently what should be made, however, I have been saying washed-rind cheeses. They are more complex as the micro-organisms that spread on brine-washed rinds needs careful management, but the rewards in taste are multi-layered and really interesting. It’s exciting to see that there are two new ones from England, and one from Belgium, on our shelves. All three are from small, independent producers, where dairy management is of prime importance from the grass pasture to the processing of the milk into cheese. The ewe and goat cheeses will not be available throughout the year as the animals are allowed to take a break and have their ‘kids’ in the cooler months. Following the natural rhythm of nature may appear to some to be not cost effective, but to those of us who love the fact that cheese follows the seasons, this is not only important to the flavours of the milk and the resulting cheese, but also allows our palates to enjoy the flavours at the right time. All these cheeses have a common denominator, and if I had to predict anything for the future, it would be that the insightfulness of thoughtful production of food is the way forward, and also the way to protect the welfare of the land, the animals and the end result – the food it provides us. Julianna Sedli has a light hand when it comes to cheesemaking. Jersey milk which is rich and buttery needs careful handling to control the fat content and keep the flavours from becoming too overwhelming. 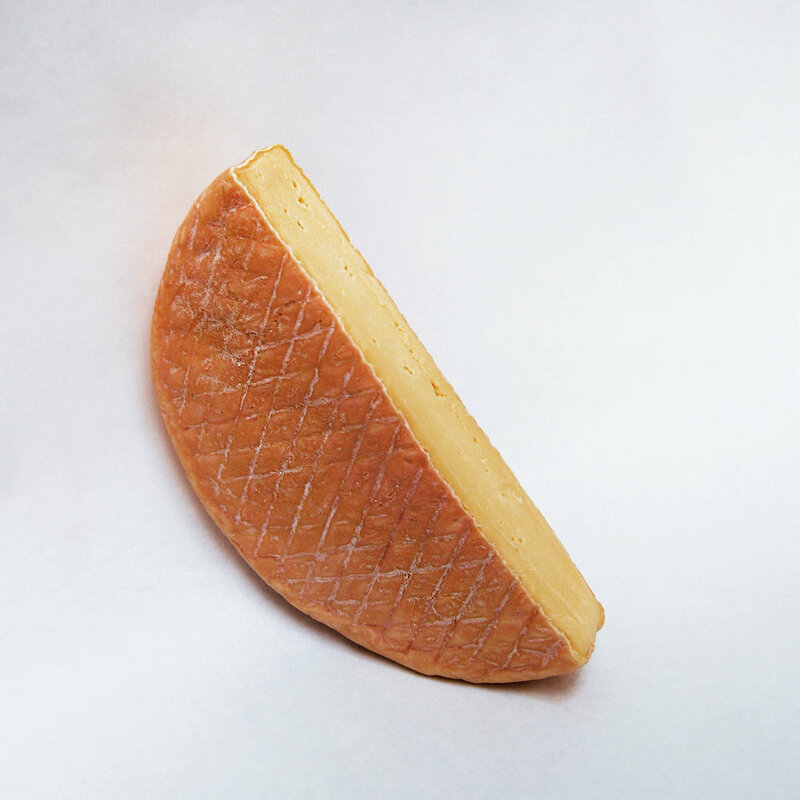 With the rind brine washed and rubbed in the Reblochon alpine style this gives the cheese a wonderful depth of subtle, rich savoury flavours to be enjoyed with a varied cheeseboard. Organic goat’s milk coagulated with a cardoon thistle rennet. Corneel is lightly brine washed and rubbed to produce a tangy flavour profile with creamy herbaceous floral notes. Pair with a Rosé, Sablet Blanc, Viognier or chilled cider in the summer and with a Pale Ale or Blond Beer for a lovely brunch or weekend supper. A new cheese from Martin Gott of St James Cheese in Cumbria made with ewe’s milk and a brine washed/rubbed rind. It has a slightly dense and crumbly texture, with sweet, earthy & floral flavours. Pair with a Rosé, Sablet Blanc, Viognier or chilled cider, as well as a standalone cheese with a glass of Pale Ale or Blond Beer. As the cheese ages and ripens the flavours become more meaty and fruity. Try Juno is this month's British board.